This topic contains 2 replies, has 2 voices, and was last updated by Billy 4 years, 2 months ago. I’m guessing that this is possibly one of the more obscure cars built by Guy Motors, or one of Varley-Woods vehicles which were built by Turners. 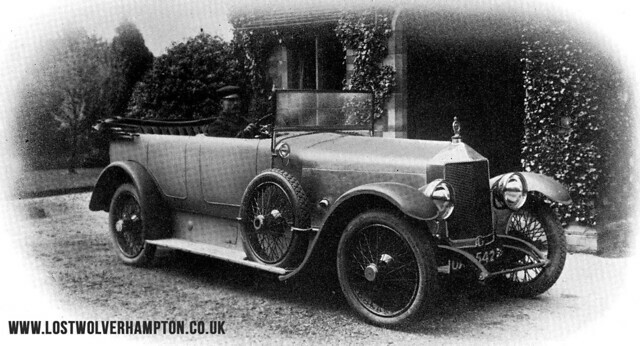 I know Guy Motors dabbled with car manufacture for a time before concentrating on commercial vehicles, and they did have an open tourer out around the early 1920s. Varley-Woods didn’t have a great deal of success with their models, and I believe they were only in production for about a year. I’m going for Guy Motors. You are spot on Tony, My book says, In 1919 the inclined valve an head design was used for a V-eight engine, the first of this type produced in England, and was used in the Guy touring car. So here we see The 1919 Guy eight-cylinder Car.